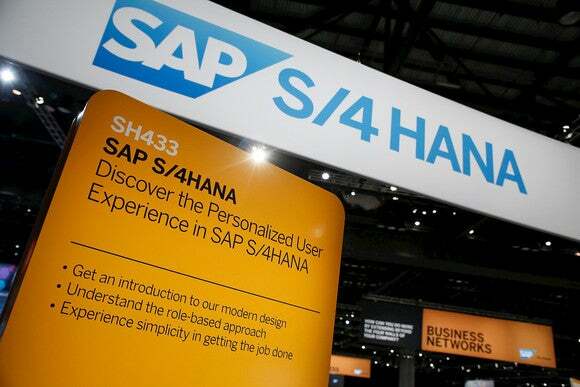 The most serious software flaws ever have been found in SAP's HANA platform, the in-memory database platform that underpins many of the German company's products used by large companies. Eight of the flaws are ranked critical, the highest severity rating, since attackers could use them to delete data, steal customer information and financial statements or change product pricing data. "We found lot of stuff under the carpet," said Mariano Nunez, CEO of Onapsis, a Boston-based security company that focuses on protecting SAP systems. What is remarkable is that several of the 21 vulnerabilities found by Onapsis were remotely exploitable, meaning an attacker could gain access to HANA from afar over the Internet. "The kind of vulnerabilities we discovered would enable any attacker without any user ID or password to remotely have full control of any SAP HANA-based system," Nunez said. Onapsis has been studying HANA for some time, and it sells a platform and a service to its customers to get advanced notifications of vulnerabilities it finds to protect them from targeted attacks. The company also works closely with SAP and has helped it mitigate more than 250 so-called zero-day vulnerabilities, flaws in which there is no patch. SAP was notified starting in February about many of the problems and has released software fixes for the issues. SAP officials said Monday that customers should apply the patches immediately. Developed to complete with Oracle and IBM, HANA works with many of SAP's ERP, CRM, supply chain and business intelligence applications. It's designed to churn out analytics and process transactions much faster, doing that in a server's memory. SAP had made a strong push to move its customers onto HANA, which was one of the company's fastest growing products. Companies using HANA include T-Mobile, Palo Alto Networks, Airbus, Dell, Adidas, EMC, the National Hockey League and Marathon Oil. The software flaws could lead to a devastating data breach, which enterprises have become ever more keen on avoiding due to high-profile problems that have affected companies such as TalkTalk, Target and Avid Life Media's Ashley Madison extramarital dating website. But not all hackers end up releasing data, and some have other motivations. Some of the flaws could be used to simply shut the system down or make it unavailable. That sort of attack, while possible less publicly embarrassing, could be employed to hurt a competitor. While some of the problems required patches, other issues require configuration changes, Onapsis said in its advisory. Some SAP servers use a TCP/IP-based communications protocol called TREXNet. Onapsis advised that administrators ensure that TREXNet communication is isolated from end users and uses transport-level encryption and authentication. It also recommended that HTTP and SQL traffic be monitored for strange activity, as both legitimate users and attackers could attempt to connect to vulnerable components.